Blake Couey was interviewed about his book, Reading the Poetry of First Isaiah, for the podcast OnScript: Conversations on Current Biblical Scholarship. Anna Hulseberg, Jeff Jenson, and Michelle Twait presented a session “More Than Just a Job: Student and Supervisor Perspectives on Mentoring” at the 2017 Brick and Click: An Academic Library Conference in Maryville. Lisa Dembouski and Michele Koomen presented a paper titled “Voices of students with disabilities in science education” at the national Disability Studies in Education conference. Michele Koomen was elected to serve as Minnesota Science Teacher Association President. Koomen also presented a session at the Minnesota Educator Academy. Paschal Kyoore published a book of collection of folktales and legends titled Contes et légendes dagara. Paris, L’Harmattan, 2017. Eric Dugdale co-authored with Nicholas Beck ’16, Caitilin Juvland ’16, and Ellen Stoll ’16 a book chapter “Philoctetes” in Brill’s Companion to the Reception of Sophocles. Priscilla Briggs presented an artist lecture and solo exhibition “Impossible Is Nothing” as part of the program for the 32nd Annual Interdisciplinary Conference in Humanities at the University of West Georgia. 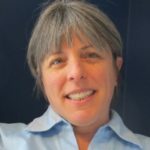 Lisa Dembouski is publishing a chapter titled “The Instructor is Partially Def: Hard of Hearing Professing in Higher Education” in Routledge Interdisciplinary Studies Series. She will also be part of a panel of chapter authors presenting their chapters at the National Communication Association annual conference in November, 2017. Michele Koomen, Kristen Matthews ’18, Elisabeth McCabe ’18, and Laura Katchmark ’18 will present a session at the Minnesota Conference on Science Education on November 10, 2017.